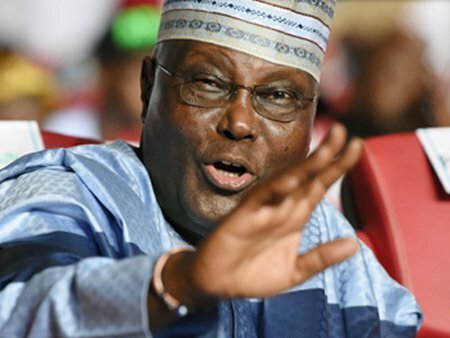 The All Progressive Congress has told the Presidential Election Petition Tribunal in Abuja that the candidate of the People’s Democratic Party in the poll, Alhaji Atiku Abubakar, is not a Nigerian and therefore not qualified to have stood for the election. The party, whose candidate Muhammadu Buhari was declared winner of February 23, 2019 Presidential Election, said that Abubakar was born a Cameroonian, not Nigerian. Abubakar was born on Nov. 25, 1946 in Jada, then part of Northern Cameroon. The party said that based on this premise, Atiku was not qualified to have contested the presidential election. The Party claimed that Atiku was a Cameroonian and not a Nigerian citizen at birth, and his petition against President Buhari, its own candidate, should be dismissed for lacking in merit. In a reply to the petition of Atiku and the PDP praying for their declaration as the lawful winner of the presidential poll, the APC said that the 11.1 million votes recorded in favor of the two petitioners should be voided and considered a waste by the Presidential Election Petition Tribunal. The APC’s reply to the petition, filed by its lead counsel, Lateef Fagbemi faulted the candidacy of Atiku in the election insisting that as a Cameroonian, he ought not to have taken part in the presidential poll of Nigeria in the first instance. Going down memory lane, APC claimed that prior to 1919, Cameroon was being administered by Germany and that following the defeat of Germany in World War 1, which end d in 1918, Cameroon became part of a League of Nations mandate territory which consisted of French Cameroon and British Cameroon in 1919. Atiku had in his petition with reference number: CA/PEPC/002/2019 faulted the conduct of the February 23 Presidential Election on the ground of non-compliance with relevant electoral laws and other malpractices such as intimidation of voters, the unlawful arrest of his sympathizers and the harassment by soldiers and other law enforcement of those wishing to vote for him.